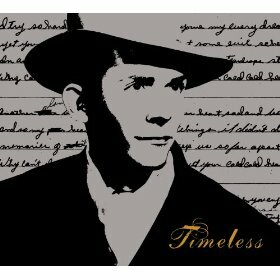 Available on Timeless: Hank Williams Tribute and 1 other release. But when the final tracklist was released to the public, it turned out that Beck had offered "Your Cheatin' Heart" instead. The change of plans was reportedly quite spur-of-the-moment, as well as last-minute, and Beck has now joined a long line of really famous people covering this really famous song. Beck's recording of "Your Cheatin' Heart" handles the country side of the song with much subtlety. His version focuses on creating a dreary atmosphere, which doesn't so much twist the heartbroken anger of the original, but enhances it. (Hank's song is the ultimate 'you hurt me and you'll regret it" song.) Around Beck's vocals, Lyle Workman adds some amazing, searing lead guitar. Jon Brion (credited with drums, piano, and noise) is also a force on the song. Beck, on his acoustic tour of August 2002, almost made it a point to do one Hank Williams song a night. "Your Cheatin' Heart" was one of these. However, Beck only played it one time then. And it doesn't appear to have re-surfaced any other time either. This is the only Beck release which features Jon Brion (so far, anyway). Beck has played with him live a few times, as Jon joined the band a couple of times (at both the end of 2000 and early 2002 gigs). Beck has also played at Jon's weekly show in Hollywood twice. UPDATE: Beck and Jon have since also released "Everybody's Gotta Learn Sometime" together.